Here's the link to the chevy powered Linn belonging to the King of the Obsolete. Ferrology listed this website as a source for info on Linn coaches and equipment in a new discussion page. Here is the image referred to in the Linn discussion forum, sent to us by an enthusiast in Australia. This is a close up of some of the C-5 info and history. I was told this is a Linn trailer from the Kemp sale. # 53 has it home by now! nd a magnifying glass. When I get it home I will read the tag and post it here. 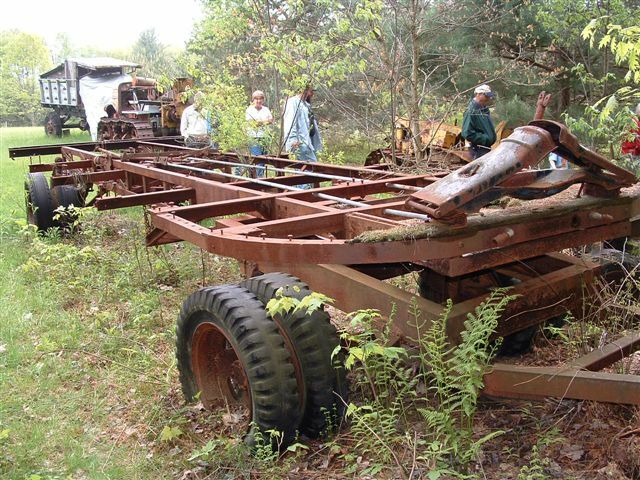 This is an old video clip from some home movies about plowing with Linn tractors. 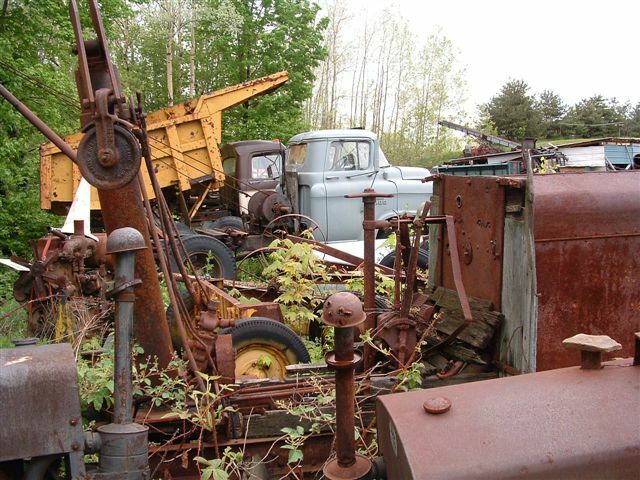 On a recent trip thru New England we stopped at the Kemp Truck Museum. 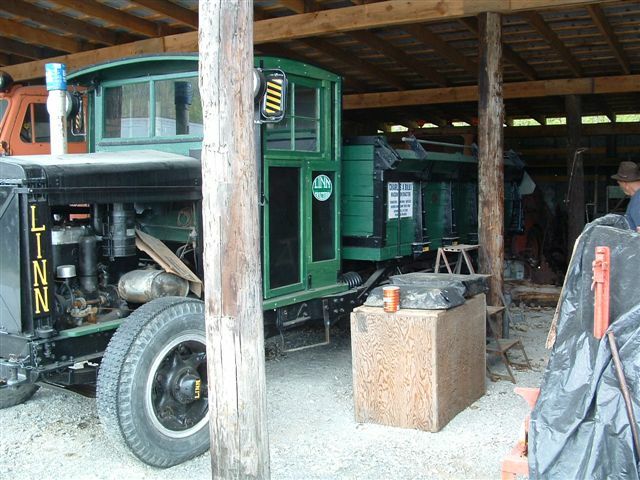 The collection includes two Linns- a track machine and also a van type vehicle. 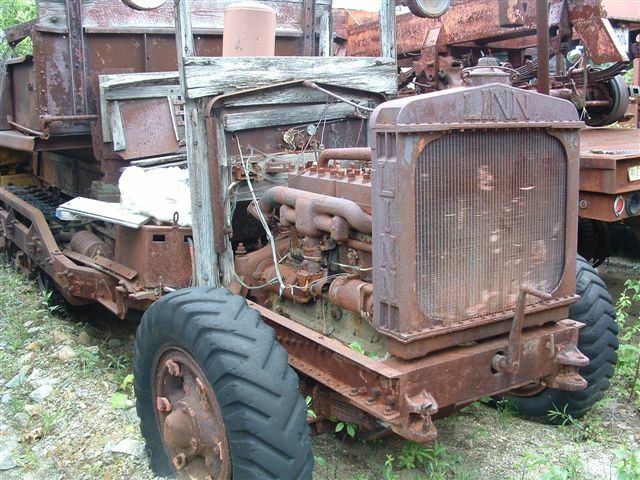 The first number in a Linn tractor model number is the number of cylinders. The following letter designates engine make. The two numbers in the middle are the year of manufacture. This may not always coincide with the model year of the tractor. Similar to buying a 2009 pick up truck in September of 2008. The above example was built in 1933. The letters at the end designate the type of tractor and other features. The Example above is a 6 cyl. 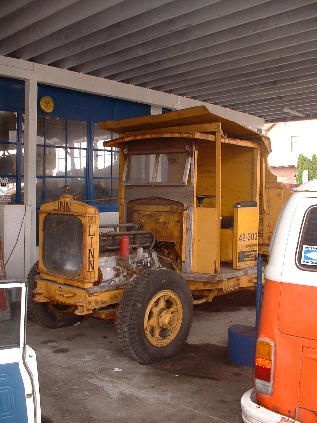 Hercules powered 1933 with a dump body that has a underbody hoist and reversing transmission. 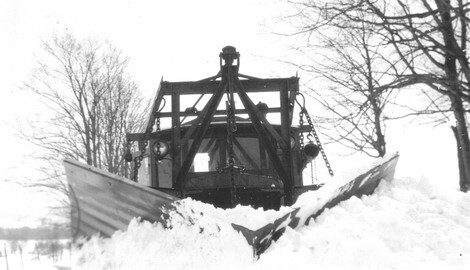 Linn tractors used in tandem to push through drifts in upstate new York. As a tandem operation they could bust through any snowdrift. 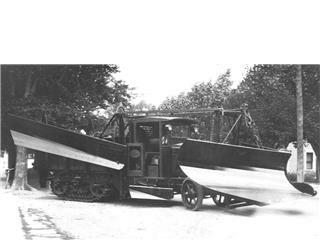 This is a promotional photo for Champion snowplow in 1920. 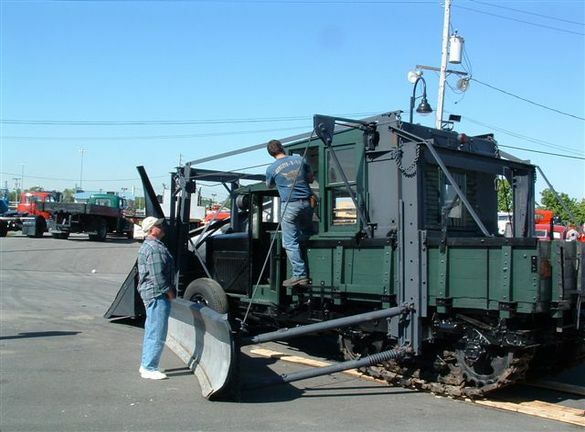 Photo taken near Oneonta N.Y.
Daryl Gushee`s Linn #2500 at the ATHS Syracuse show. 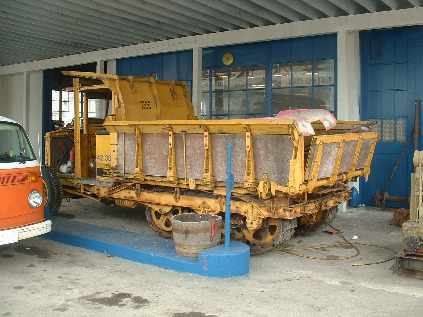 Linn Tractor plowing before the use of hydraulic plows began, as witnessed by the chain lift mechanisms. 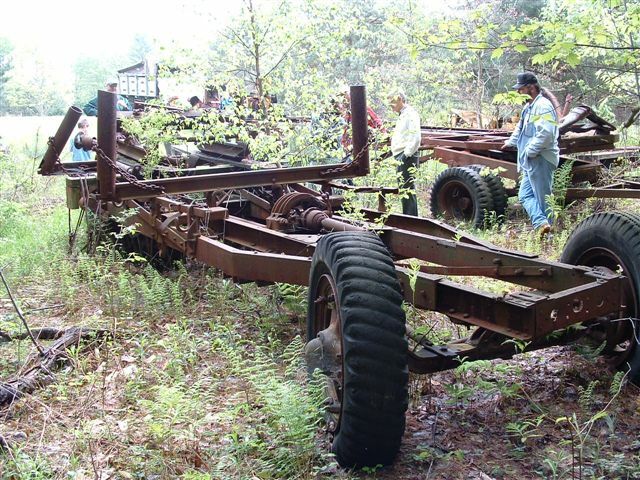 There are currently around 115 Linn tractors that still survive. I have seen most of them. Some of the ones I have seen I took pictures of and will post them here to share. Others I have seen only pictures and may post them also. 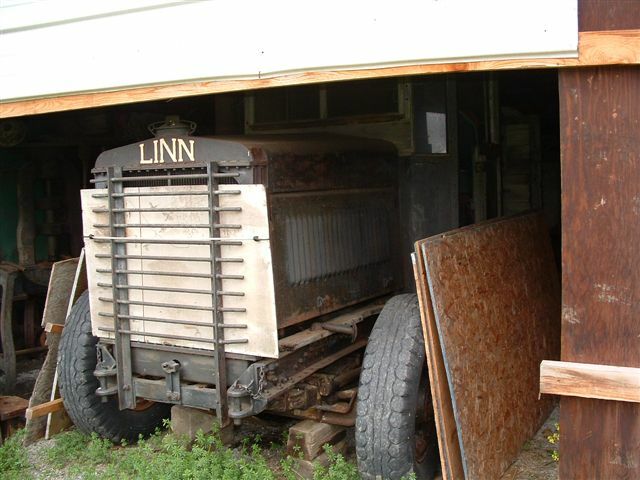 It is difficult to get good pictures of every Linn tractor you see because of the storage facility or sometimes the lack of a storage facility. The first thing you need is permission to see the Linn and that`s not always easy to get. This is a very complete 6 cylinder Linn that is safe in a shed. This is a 6 cylinder Linn in need of some cab repair. Currently waiting it`s time in a shed. 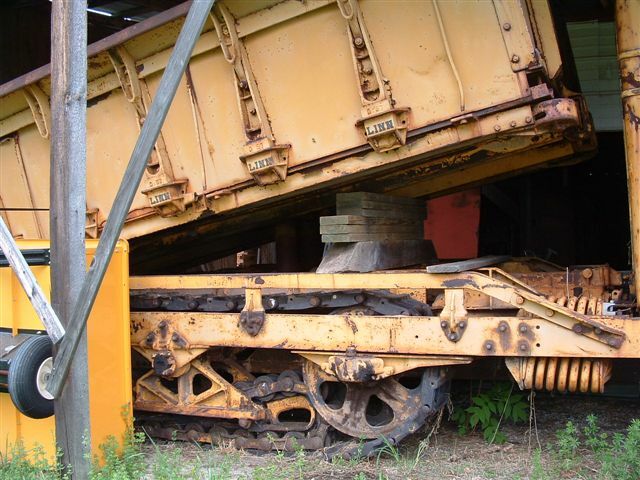 This is a 6 cylinder, underbody hoist type, dump Linn that is in captivety. Sitting outside and pretty complete except for the cab. 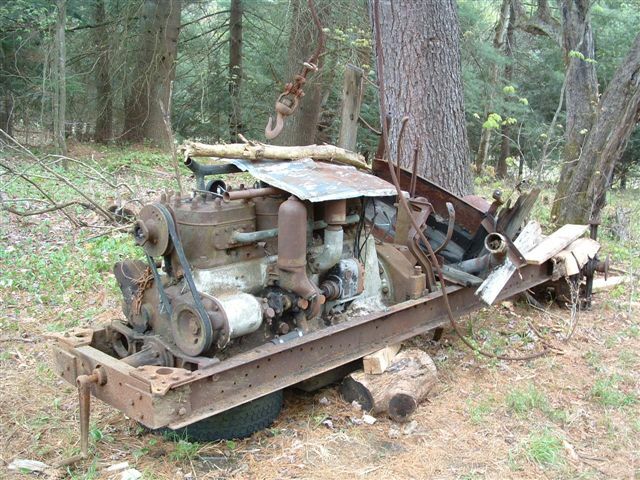 Time and weather is taking it`s toll on this 6 cylinder outdoor Linn. Getting down to the bare bones with this old Linn. No more cab left on this Linn but still worth keeping a little sheet metal over it. 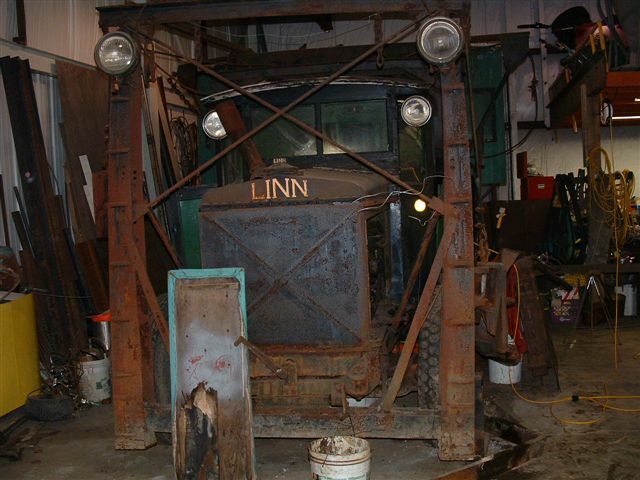 A very well restored Linn tractor with an under body hoist dump. 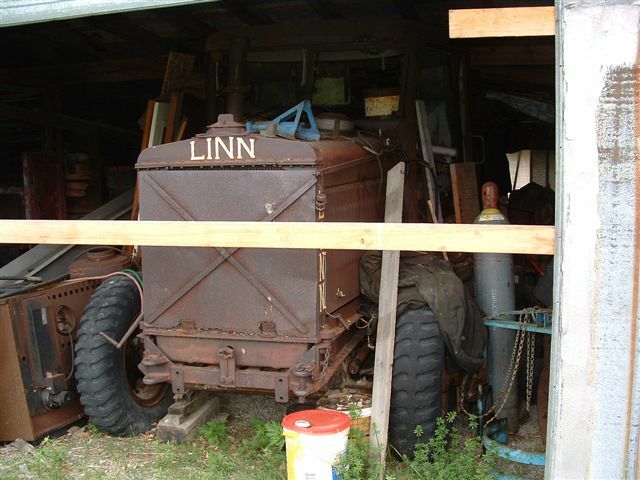 Another very well restored Linn tractor. As I said it`s not always easy to take a good photo. 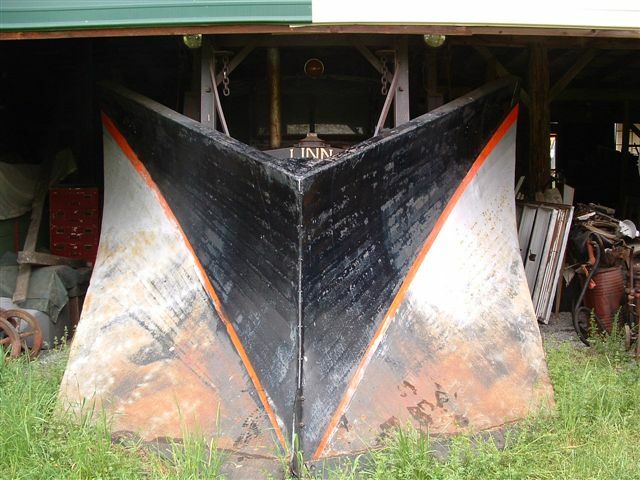 This is one of the earliest Linns that has survived. It`s a 1924. This Linn is still in the wild and probably there for a while longer. Some Linn owners don`t take as good care as others. 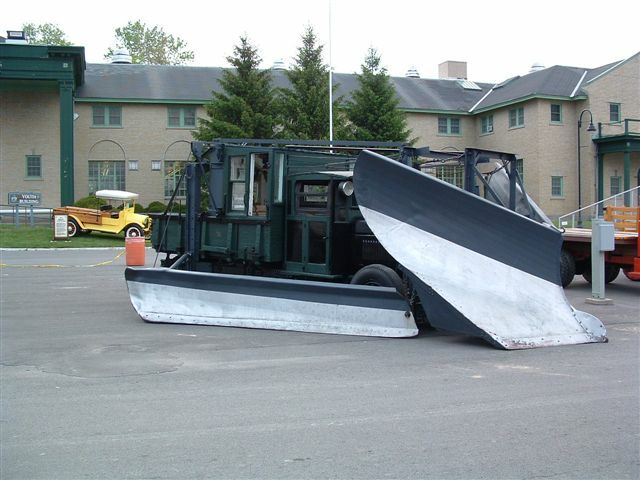 This one happens to be the same model and year as my 1934 snowplow Linn. This Linn sports the wrong radiator and a Hystaway hoe. The hoe was obviously added later in the Linn`s career. Another view from the back of the Linn / Hystaway combo. 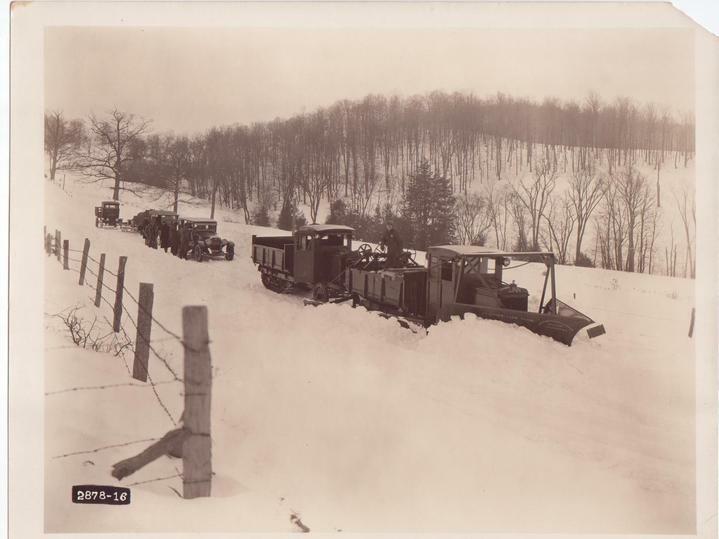 That`s a early F model Walter with plow gear on front in the background. 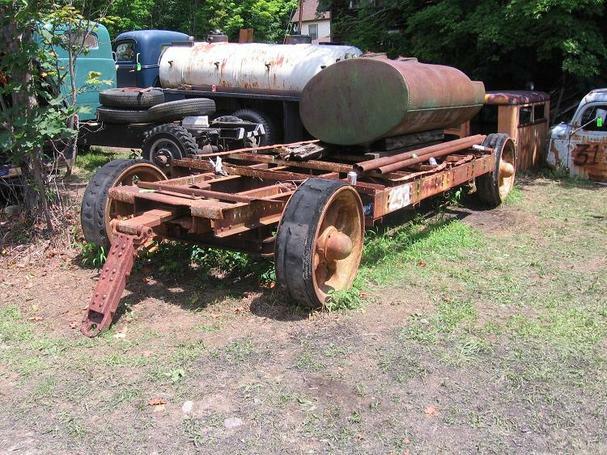 Linn tractor with 6 cylinder and under body dump hoist. Sitting beside a Bay City swing shovel. This Linn was stripped for parts to rebuild another Linn. 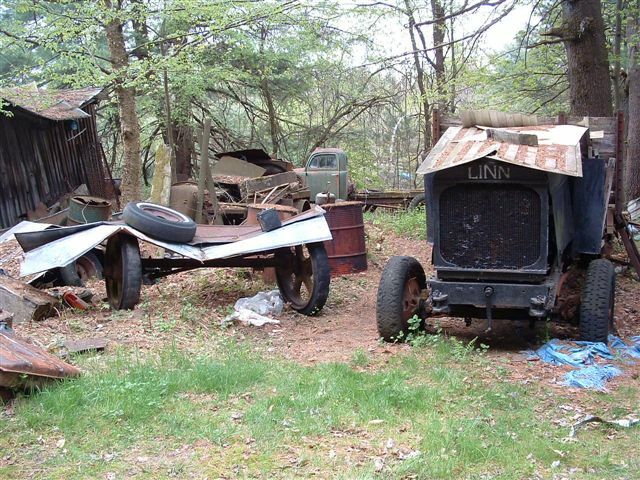 Not all surviving Linn tractors will be restored. Some will have to become donors for others to be restored. 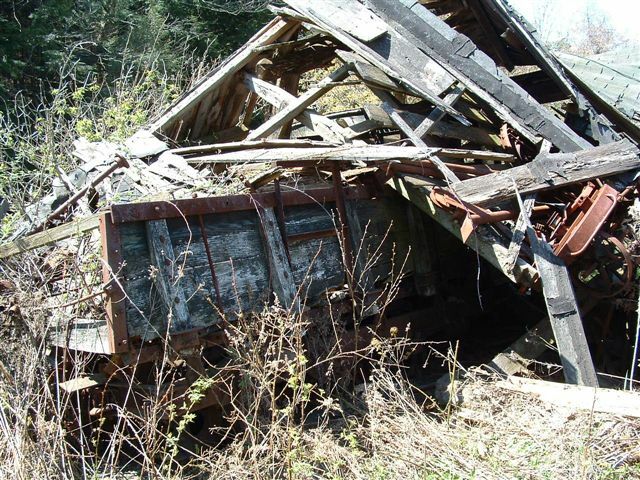 Here is a nice candidate for restoration. This Linn is in great shape and stored inside. This is a steel cab Linn with a 3 way dump box. Stored in a lean too. This Linn has deteriorated a lot over the years it has been sitting outside. 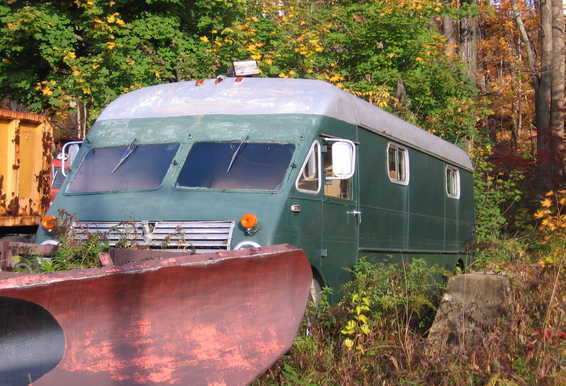 I have been trying to give it a better home but the current owner is happy with it right there. 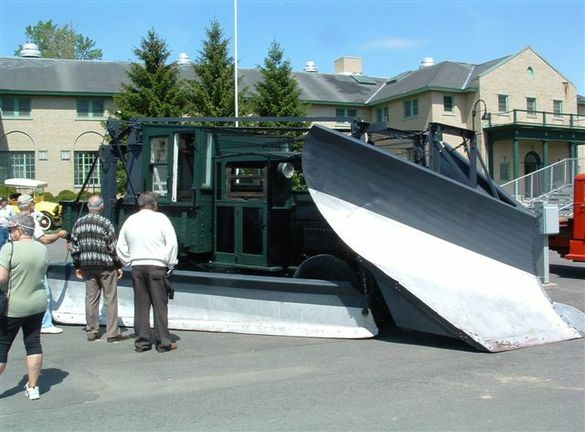 Linn tractor with a Huge V-Plow and double wings. It doesn`t get any better than this. 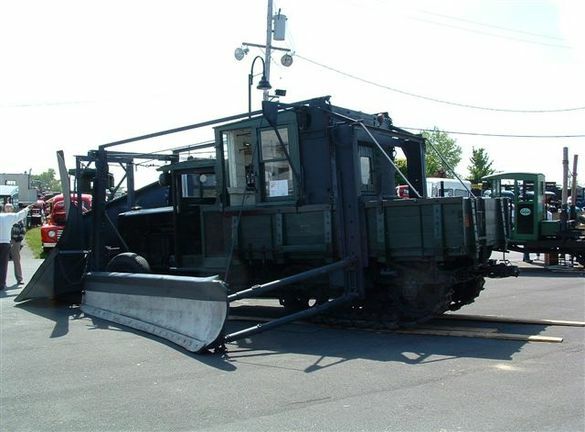 This is a beautiful Late model Snowplow Linn. Most are missing doors and hood panels, this one is very complete. It`s very unfortunate this Linn is sitting outside. There are actually 2 Linn tractors in this photo. 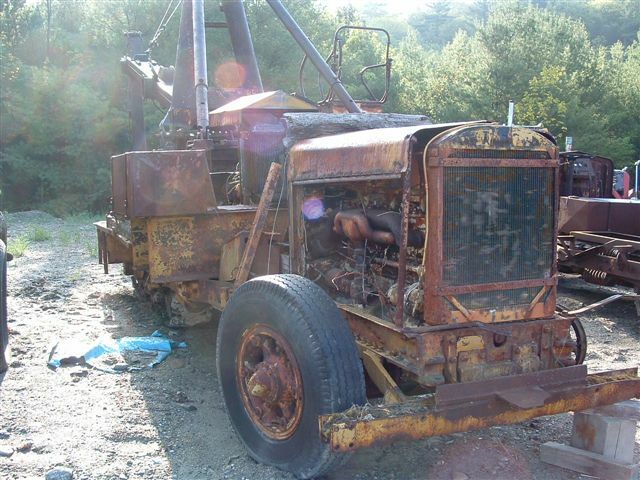 One is obvious, you can see the dash, steering column, shift levers, and the dump hoist. If you look over the dash you can see a green body. That is a Linn, look close you can see the cab to the right of the green body. 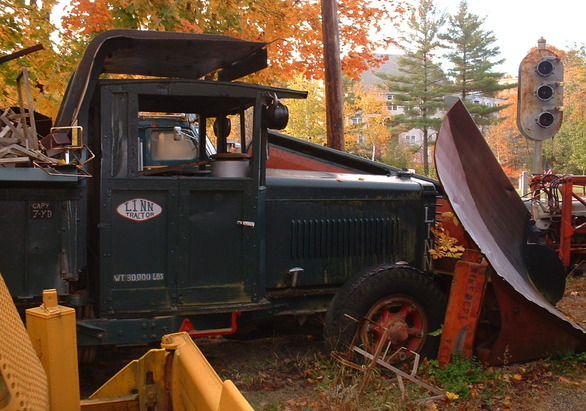 Here is another Snowplow Linn. 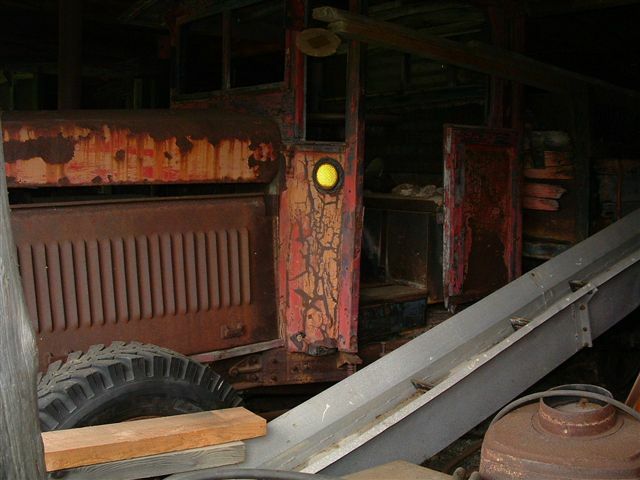 In need of restoration but very complete and stored inside. Great topic you're building. Keep up the good work! I had a feeling Eddy would do something with this. 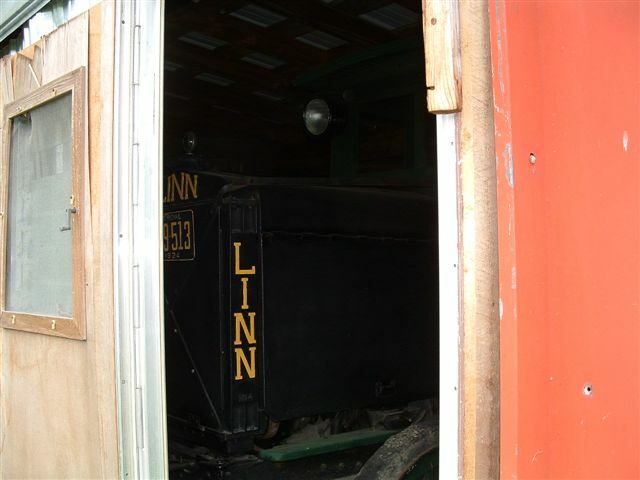 Does Frank Whitcomb still own the Linn that was on display in Walpole, NH? *Always think for yourself. Don't trust the government. Whitcomb was bought by Lane Const. Co. of Meriden, CT which ironically used many Linns on road building projects, including the road up Cadillac Mtn in Acadia National Park, in Maine. 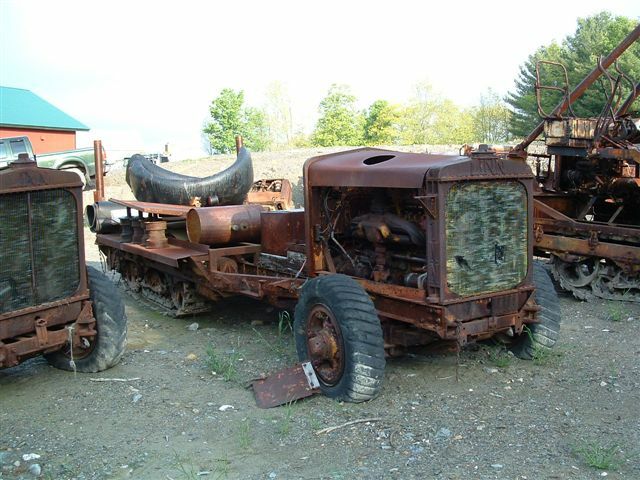 I understand they have put the tractor in a wharehouse someplace. 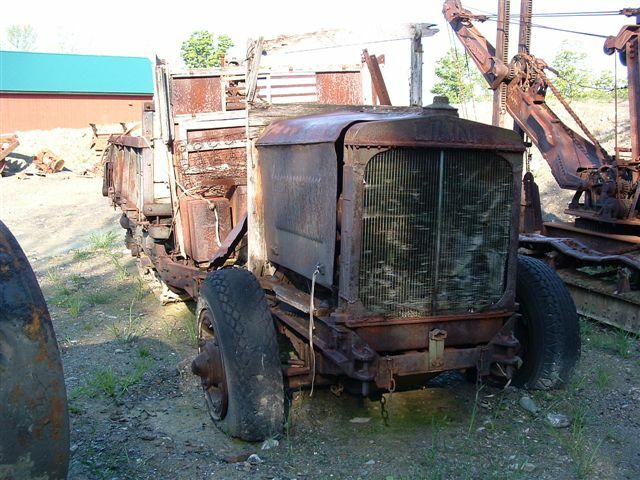 Grew up down the street from the Linn tractor plant, where many relatives and neighbors once worked, and next door to a Linn/Frink Sno-plow/Walter truck agency. I do free look ups of serial numbers, photographic recognition and advise on any Linn related questions you might have, and generally like to locate/excavate/photograph/identify old iron for fun. Thank you for the update on the Whitcomb Linn. I wasn't sure if it had stay with the Whitcomb family at the time of the sale of the business or what. 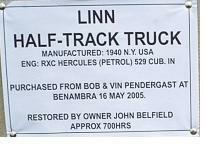 This may have already been asked but are the Linn records such that a total number of vehicles is know and how many of each style still may be out there. No exaggeration it has taken me about 30 years to assemble a serial number list from what remained of records from the factory, a local dealership, and what I have picked up from magazine and newspapers or employees of firms that used them, or even old serial number plates I have unearthed or bought at flea markets, and from municipal records (minutes of board meetings sometimes list everything, sometimes barely mention they bought something depending on the clerk) around central NY that recorded the serial number, date, etc. 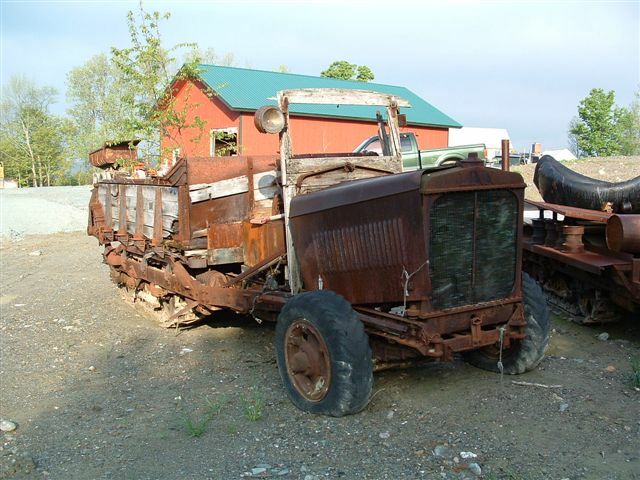 What throws off the factory lists (1920, 1931 and 1936) is when a tractor changed hands or was disposed off and the last owner/or dealership failed to notify the factory. 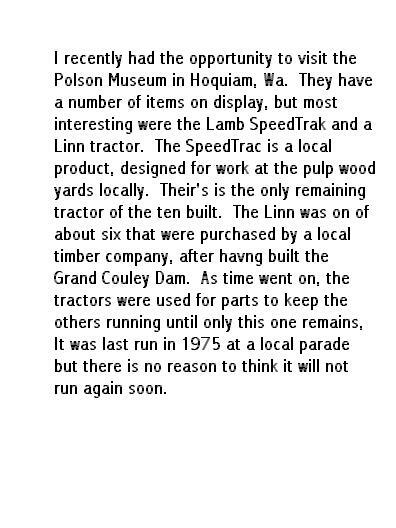 After Feb. 1936 it got a little sketchy, they were selling maybe only a dozen new Linns annually to highway departments at that time, mostly they were factory rebuilding older tractors like new which were considerably cheaper to buy, with the idea keeping a Linn customer was more important than selling new tractors. 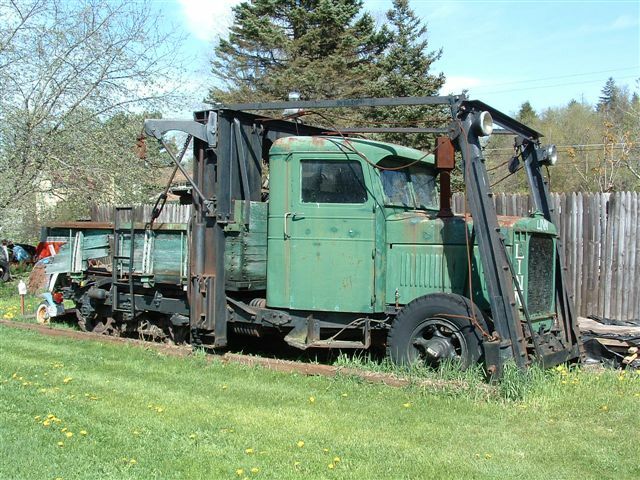 It was not advertised but by that time, due to slow business and common engines, so their mechanics had the skill and parts, they were actually selling parts or overhauling competitor's trucks like FWD and Oshkosh, which also gave them opportunity to check out what their competitors could do. 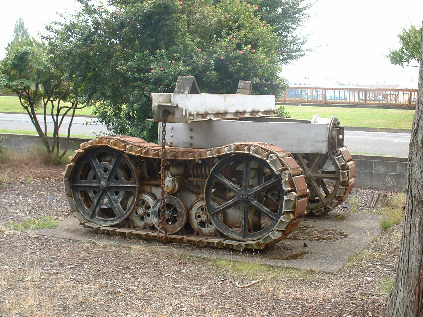 Then with the war prep work a lot of tractors were built and sold for war contracts and re-assigned at least once during WW2, that I don't have record of. 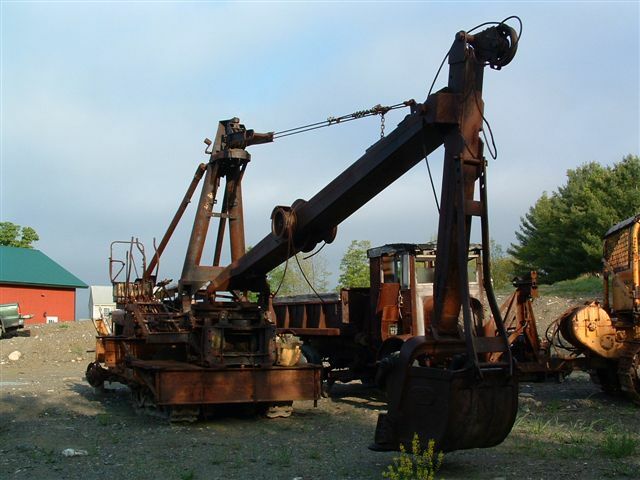 After WW2 most of my serial number records are of machines sold here in Central NY. Overall guesstimate 2500 units built 1917-1952, or average 2 machines a week, although they had dry spells in the 1930's, but they also had times they ran 24/7 and cranked out as many as eight in a week to meet special orders. Ran across a 1990 letter from John Thut, Thut's Express, of Bangor, ME (still around?) who said he went to work for Lane Const. Co. of Meriden, CT at Lackawaxen, PA in 1929, Moretown, VT in 1934, Whiteing ME in 1937, Bar Harbor, Maine (Cadillac Mtn highway in Acadia? ), Johnson, VT in 1940 and Presque Isle, ME in 1942 (air base? ), and noted of course they were using Linns on other jobs he wasn't on.